Glantreo has vast knowledge in the manufacture of Mesoporous Silica (MS). For almost 5 years we have supplied large quantities (up to kg quantites) of Mesoporous Silica to our Researcher and Industry partners. …..Read application uses and review research data for 10+ application use of Mesoporous silica. …..Pick and mix with our customised multipacks ….. of five 3g Mesoporous silica products. Barnes et al. 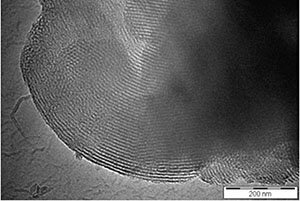 2008, Reproducible Comet Assay of Amorphous Silica Nanoparticles Detects No Genotoxicity. Mohamed et al., 2011, Activation of stress-related signalling pathway in human cells upon SiO2 nanoparticles exposure as an early indicator of cytotoxicity.